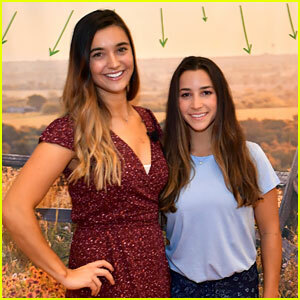 Aly Raisman Gets Pumped for the Super Bowl at DirectTV Party! 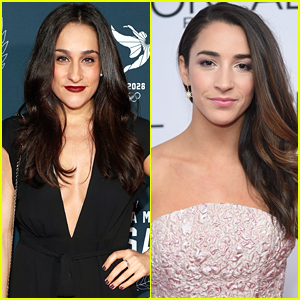 | Alexandra Raisman, aly raisman | Just Jared Jr.
Aly Raisman had a fun night out ahead of the Super Bowl! 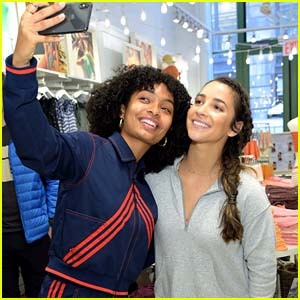 The 23-year-old Olympic gymnast stepped out at the DirectTV Now Super Bowl party on Saturday night (February 3) at Nomadic Live! at the Armory in Minneapolis, Minn.
Aly looked super cute in an off-the-shoulder black dress and printed heels as she met up with friends like Kelsea Ballerini and tennis player Eugenie Bouchard! During the party, Aly even got to check out a performance from Jennifer Lopez!